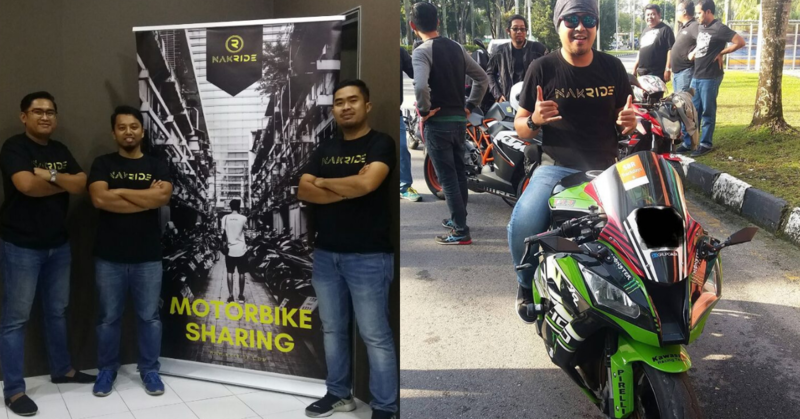 Nakride is a peer-to-peer motorbike-sharing service in Malaysia which connects owners with under-utilised motorbikes to interested renters. The platform currently has over 50 motorbikes with a goal of having a thousand bikes in five years time. If we take a look at the business models of most companies from a decade or two ago, we will see the same structure over and over again. The company produces value in the form of a product or a service and then sells its goods to the consumers. However, with the rise of platforms like Uber and Airbnb, rather than bringing together businesses (B2B) or a consumer to a business, they connect humans to other humans. This concept is called peer-to-peer and from P2P financing for SMEs and homes to P2P car-sharing, it was only a matter of time someone came up with P2P for motorbikes. This Malaysian team did so in December 2017. Dictionary Time: A peer-to-peer (P2P) economy is a decentralised model where two individuals interact to buy or sell goods and services directly with each other. Often, businesses are created with the intent of facilitating P2P transactions to reduce the risk for both buyer and seller with the majority of P2P services today are offered online. The idea began when Mohd Khalis Bin Mohd Ali helped his close friend to run his motorcycle rental service as the friend was too busy with another business. After running the business for a while, Mohd Khalis realised that there was more demand for the business despite only having two bikes in operation. In March 2018, since Mohd Khalis didn’t have enough capital to add more bikes at that time, he decided to open the business up to become a P2P model where whoever wants to let their bike to be rented can do so. Nakride was then officially established and operated from a web-based platform. There are a total of three founders: Mohd Khalis Bin Mohd Ali who is in charge product research development and marketing, Muhammad Fazli Bin Fuad who is in charge of operation management and Muhammad Fairuz Bin Fuad who does business management. The problem that Nakride is trying to solve? In urban areas such as Klang Valley, traffic congestion is rapidly increasing with the number of cars on the road and people spend too much time to reach their workplace. By providing a P2P motorbike-sharing service, they can help people to reach their destinations in a much shorter time compared to cars. “On the other hand, there are people who really can’t afford to buy a motorbike as nowadays it’s quite expensive and it’s not just the locals but foreigners as well that really enjoy riding bikes,” added Mohd Khalis. 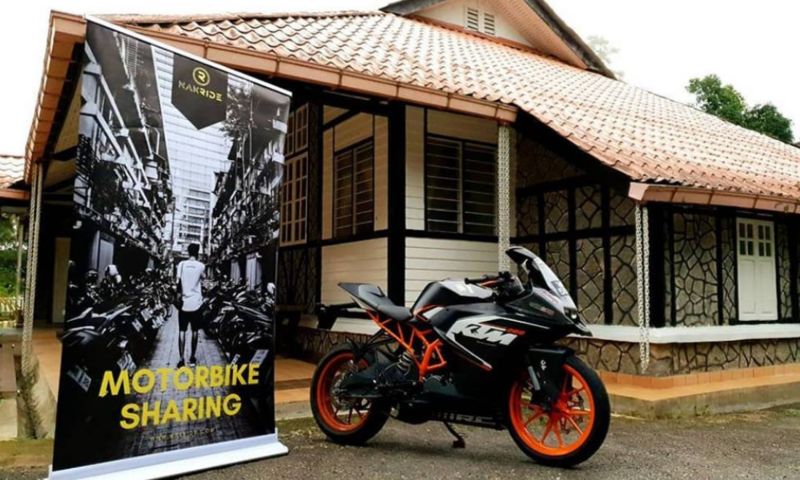 As a peer-to-peer motorbike-sharing platform, Nakride connects the owners with under-utilised motorbikes to responsible renters. Customers are able to rent motorbikes for short to long periods of time, generally ranging from a few hours to a few weeks. Furthermore, there’s a variety of motorbike selections in multiple locations, which gives customers more flexibility. From the bike owners’ point of view, it’s an opportunity for them to not just own and use a bike but also an opportunity to earn some extra income to cover up the bike’s monthly installment, maintenance, insurance and also roadtax. “The owners are happy to rent out their motorbike and get some extra income while the customers need the motorbike rental service to go to certain places. With this concept, we are creating another sharing economy platform for the public,” Mohd Khalis explained. Nakride monetises the business by taking a cut of the rental fees. As an online rental service provider, for every rental fee charged to the customer, the bike owners get 70% of the fee, while the rest goes to Nakride. Within less than a year, they’ve managed to bring in a total of RM50,000 in revenue. However, as Nakride is the middleman between bike owner and customer, they have to ensure to the best of their efforts that both sides are satisfied with the service. For safety purposes, bike owners are required to always check the identification and license of customers before passing them the bike. Furthermore, it’s also compulsory to install a tracking system so that the owners are able to track and monitor the bike’s location. If a bike is reported damaged or stolen and the customer doesn’t pay the penalties, Nakride will blacklist the customer in the system and also put their information into the CTOS system. When it comes to challenges, Mohd Khalis mentioned that it’s never ending as a new one comes after another. However, his number one problem is that they’re running the business on a tight budget. “We don’t have enough capital but we need to spend more on our technology and marketing. From the commissions that we receive, we use it to invest back in the business as capital,” said Mohd Khalis. Although they’re running on a low budget, they’ve made the best out of the situation as they have managed to gather more than 50 bikes registered on the platform within five months. “It’s not a big amount, but it’s a start. When you know how to grow from zero to some numbers, you can just repeat the process to double or triple the result,” he added. Unlike the car-sharing industry, he understands that bike-sharing is currently not something people are interested in as there are more risks involved. Furthermore, the profit you can earn is also less than renting a car but he believes in the near future, bike-sharing will be a norm for people to move from point A to point B.
Nakride and the team have an ambitious goal of having a thousand bikes registered on the platform and becoming Malaysia’s biggest sharing economy for bikes in the next five years. If you would like to know more about Nakride, you can check their social media here and website here.